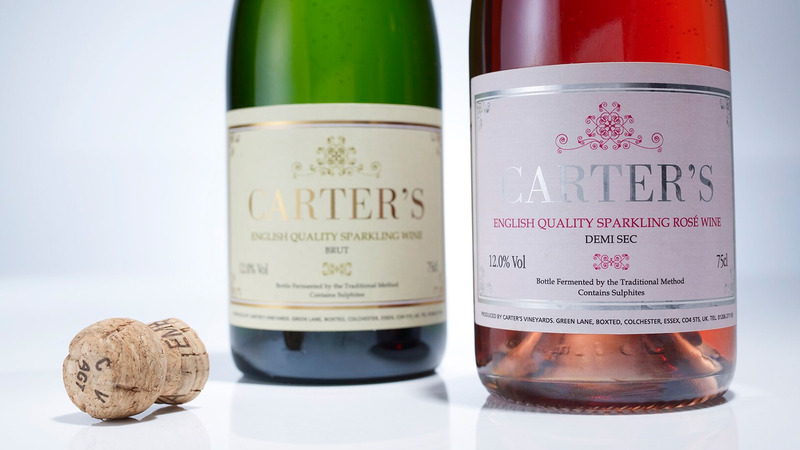 Standout were engaged by Carter’s Vineyard to create a new look for their white and rose sparkling wines. 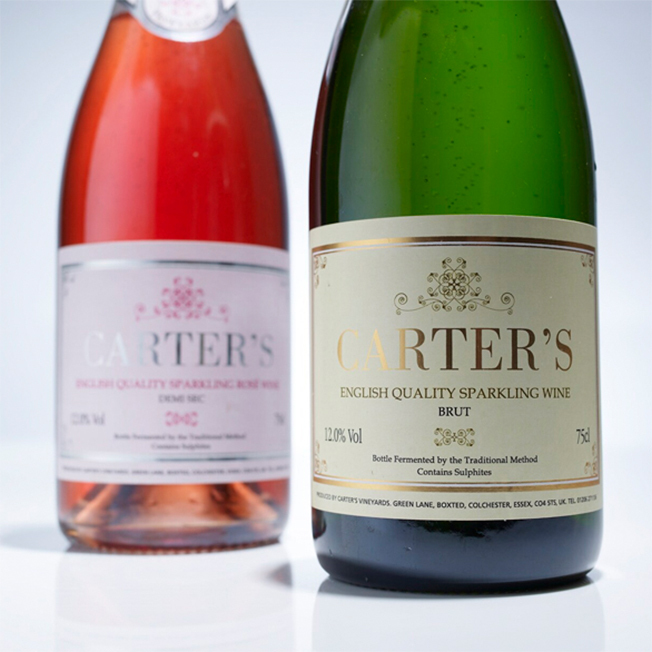 Carter’s produce fantastic wines, but were struggling to compete in store with the better known brands. Standout created a fresh label for the wine bottles which portrayed the feel of a quality and high-class Champagne by using simple designs, printed in few colours and enhanced using silver and gold foil.